It isn't every day I get contacted directly to write about an item - first time for everything! 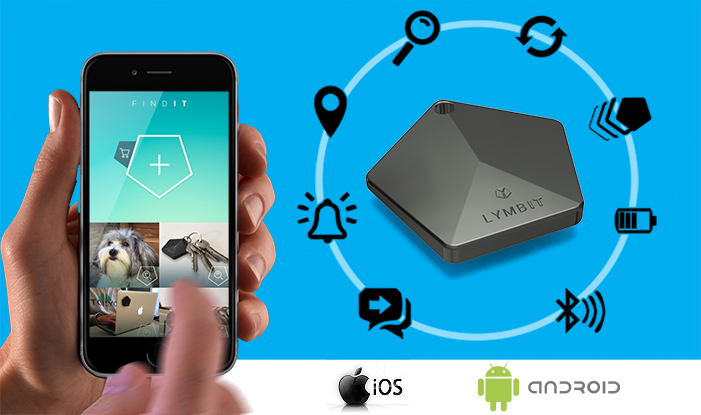 Introducing Lymbit, a tracking device for your every day objects, not the first of it's kind on the market - we have seen the likes of Tile on the market previously, but what makes this project different it's rivals? I had the opportunity to respond directly; focusing on this question. The general concept is the use of Bluetooth Low Energy which is detectable when in range of a mobile device that has the Lymbit application installed. In principle; this would give a short range of ten to thirty metres - since any mobile phone with the application can detect the device, building a network of smartphone users means it can be found anywhere in the world. But what makes this unique from it's rivals? Not only can you utilize a crowd sourced scavenger hunt - but, you can also directly communicate with anyone who happens to be nearby your object and possibly get them to move it to another location and/or get it returned to you. Of course; the concept only works if there is a sufficient network of users out there using the associated application - however they want to take it further. They are currently working on establishing a network of sensor end points with various cities to build a foundation network. Lymbit currently is seeking a modest $30,000 USD funding on indiegogo.com - they are almost at their funding goal, but need that little extra support to get over the finish line.